Picture a log cabin on a snowy winter night with smoke rising from the chimney. This quiet image speaks straight to the heart! Cities overflow with overwhelmed, overtaxed and over-stressed people who crave an uncomplicated life. 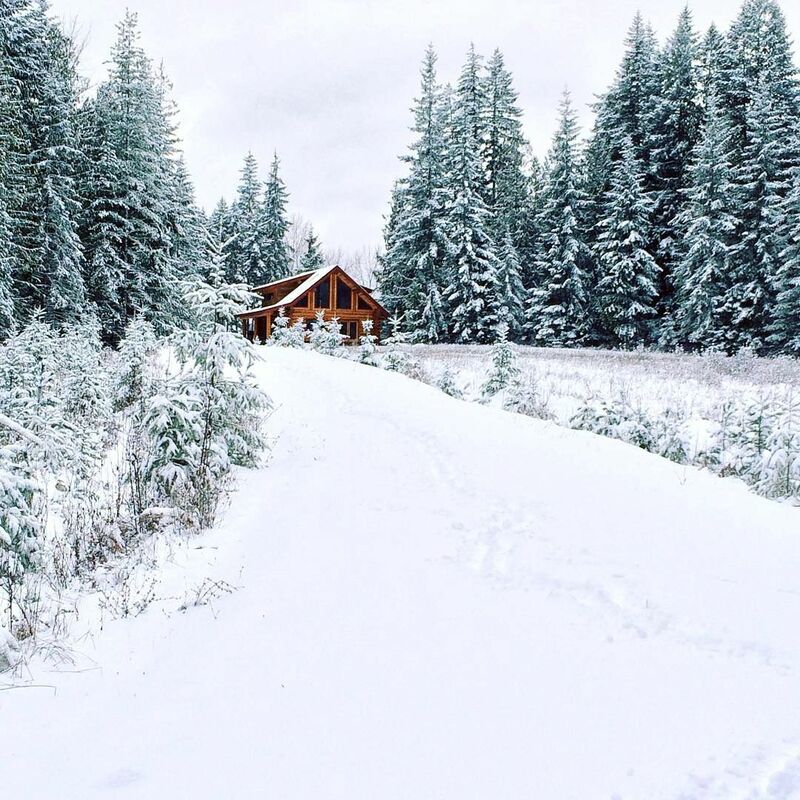 Escaping to a log cabin in the woods sounds perfect! Whether we’re concerned about the environment or just shaking our heads about politics around the world, confusing news updates can leave us scrambling to keep pace. Naturally, some of us to want to step back and re-balance our lives. Ideas like “reduce, re-use, recycle”,”zero-waste” and “plastic-free” might sound current but they’re not new. A hundred + years ago plastic hadn’t been invented, waste wasn’t an option for most of the world’s population, and every available resource was used and re-used thoughtfully. People valued their few possessions and spent money carefully. You’ll appreciate a log home for the same reasons the pioneers did! Men and women carving an existence from a raw land needed the shelter of their log cabin. Log homes today offer the same sturdy comfort AND provide a timeless refuge from a chaotic world. 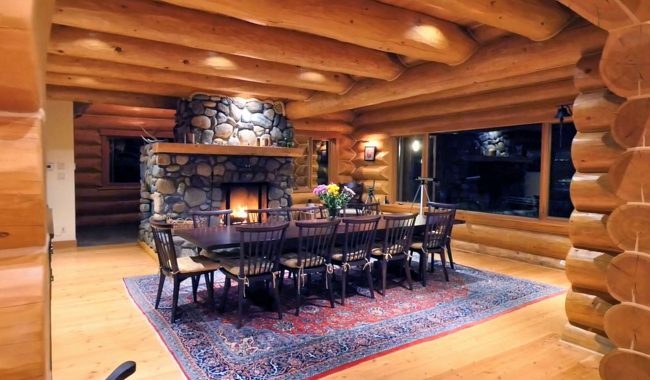 A handcrafted log home built from powerful large logs reminds us that true quality never changes! Logs are a naturally perfect construction product. The trunk of a tree provides the exterior wall, the insulation and the interior wall. Using the entire log saves the energy that would otherwise be used to fabricate all the other products required for a frame wall. Log cabins seemed like a thing of the past during the early 1900s as industrialization swept the globe. People demanded “modern” houses built from mass-produced construction material. They rejected log cabins as primitive or inferior and destroyed many existing log structures. If it wasn’t for the “back to nature movement” of the 1970s, a younger generation might have missed the chance to learn log building skills from the remaining old-timers who still knew how. The log building revival gained momentum through the 1980s and the art of log building began to attract a lot of attention. Demonstrating that modern amenities could be easily built into a log house, log builders and their innovative clients restored the appeal of log cabin homes. Rapid modernization lost its excitement and more people explored ways to reconnect with nature. Looking for places to relax and recharge, high powered executives considered log retreats in nearby rural areas. Some people left urban lives altogether and built log cabins on wild acreages where they found new meaning in old ways of life. By the end of the 20th century log homes steadily increased in size and popularity while forest management continued to improve. The enticing contours and intriguing grain of logs encourage your hands to touch them. You want to wrap your arms around a big log post! The cold angles of brick, concrete, glass or drywall don’t encourage you to make physical contact. The natural shape of long logs and the subtle variation of grain and color is restful, organic—almost alive. We speak casually about “the warmth of wood”, but wood doesn’t just SEEM warm…it IS. Thousands of tiny air pockets in a log absorb and hold heat. Once log walls have warmed up they radiate heat back into the room for hours. Handmade by skilled craftsmen using traditional techniques and carefully selected material, the best log homes can be compared to good apple pie. For excellent results just follow any artisan’s lead and stick with quality ingredients, careful practice and time-tested methods! 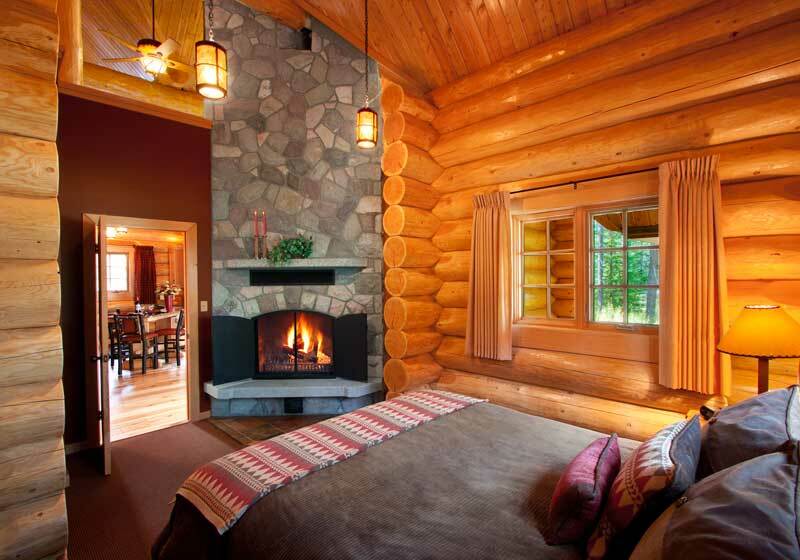 Custom luxury log homes blend modern necessities with traditional craftsmanship. Exciting projects represent unique expressions of taste and personal comfort. Immense fireplaces dominate log great rooms that hide the latest technology while genius illumination and comfortable furniture welcome you home. 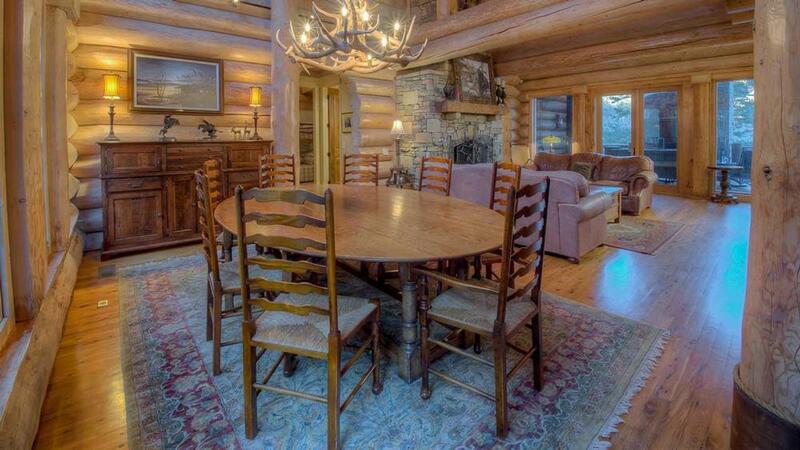 You’ll still find log homes set against magnificent scenery and at the end of long driveways. On the edge of cliffs and rivers, overlooking lakes and mountain ranges, the log home blends effortlessly into any wild setting. Log home lovers worry very little about fads, choosing natural beauty, lasting quality and fine craftsmanship. When your home is built to outlast trends it stands as a monument to your individual style. The modern luxury log home remains a place to stand firm against the pressures of an ever-changing world.